HMS is connected to the extensive community of entrepreneurs and business leaders in Lancaster County. These businesses see the value of education at HMS that encourages creativity and entrepreneurial spirit along with hands-on learning and the values of perseverance, integrity and service to others. From hosting class field trips and HMS Venture Program interns, to providing need-based scholarships through the EITC/OSTC programs, HMS students benefit from connecting to Christian business leaders in our community. Each year at the HMS Business Networking event, entrepreneurs, business owners, managers, and non-profit leaders are invited to gain insight from regional and national business success leaders and strengthen their local networks. We offer these free events to say thank you for the ways local organizations support our students. This event is free to guests but RSVPs are required: submit an email address and company name along with individual attendee name(s) and title(s) to HMS Director of Advancement Jody Fausnight (jfausnight@hinkletownschool.org or 717-354-7100). The 2019 Business Networking Breakfast will feature speaker Steve McClatchy, a New York Times best-selling success coach & author. As a father and committed business leader, Steve is a man of vision and yet simple methodology. He uses humor to entertain and inspire audiences, re-igniting their thinking on being effective and strategic business leaders. Steve McClatchy’s clients and speaking engagements have spanned convention halls, executive headquarters and boardrooms for corporate giants and small, family-owned businesses. He offers a new model for how to lead in today’s ultra-competitive, hyper-connected global business environment. 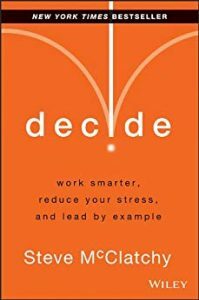 Steve is a keynote speaker, workshop leader and author of the New York Times bestseller, Decide: Work Smarter, Reduce Your Stress & Lead by Example. Steve has spoken before thousands of audiences on the topics of leadership, performance, personal growth, and work/life engagement. 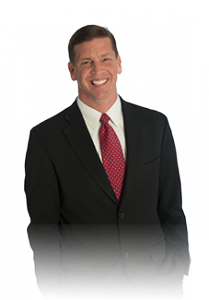 His client list includes the NFL, Google, Pfizer, Microsoft, Disney, NBC Universal, Accenture, John Deere, Under Armour, Wells Fargo, and Campbell’s Soup. He is a frequent guest lecturer at Harvard and Wharton. He has appeared on ABC, CBS, Fox News, NBC’s Today Show and has been quoted in The Wall Street Journal, Fast Company, Entrepreneur, and Investor’s Business Daily. Steve’s passion is for continual improvement and he believes that when we stop learning, gaining experience and achieving goals, we stop living. Steve is best known for his passion, sense of humor and energetic personality. You will be captivated, motivated and truly inspired by his unique and practical approach to effectiveness and success. The HMS Vision: Students Learning & Living God’s Purposes.